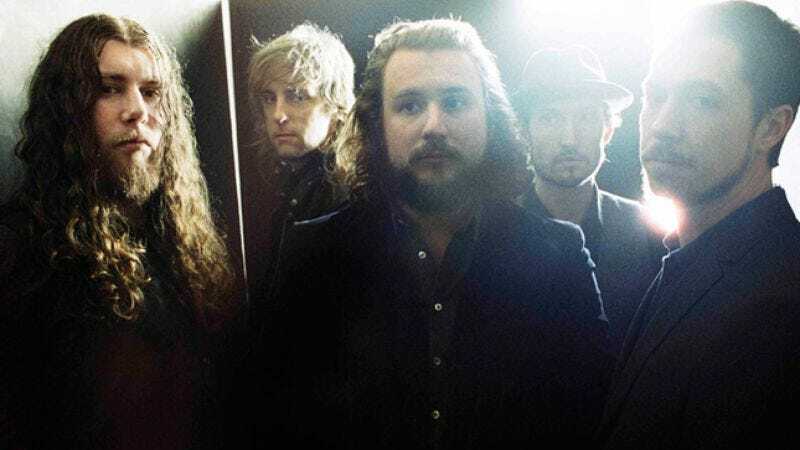 All the twangy beardoes who followed in My Morning Jacket’s footsteps have done a fine job of recreating the band’s spacious sound and Jim James’ likeably laconic frontman vibe, but few have been able to match James’ restlessness. It sometimes drives fans batty, but James’ willingness to balance audience-friendly Southern-rock jams and acoustic ballads with genuinely odd journeys into dance music, worldbeat, and old-school R&B is what’s made My Morning Jacket so exciting over the years. He doesn’t just cling securely to the style for which he’s best known. My Morning Jacket’s new album, Circuital, does dial back the weirdness of 2008’s Evil Urges. It’s a tight, 10-songs-in-45-minutes affair, kicking off with the echoing, epic rockers “Victory Dance” and “Circuital,” then moving on to the yearning, poppy ballad “The Day Is Coming” and the sweetly sappy “Wonderful (The Way I Feel).” Neither the performances nor the arrangements are rote; “The Day Is Coming” puts a chunky beat under a celestial choir, for example, while “Victory Dance” includes what sound like Native American war cries, before culminating in apocalyptic screech. But they’re familiarly, enjoyably My Morning Jacket-like, as are the two slow, forlorn tracks that end the record. Still, the four songs in the middle of Circuital sound the most vital: the kooky, bubblegum-y “Outta My System,” the girl-group/Italian-cinema-soundtrack mash-up “Holdin’ On To Black Metal,” the fuzzy, funky “First Light,” and the trippy carnival ride “You Wanna Freak Out.” Not all are great, exactly—“Outta My System” wears out its welcome pretty quickly—but they work together, building in momentum and craziness, until it’s unclear exactly what the band will do next, and whether it’ll work. That’s when James has us where he wants us.